PMMI, the Association for Packaging and Processing Technologies, has released the preliminary schedule for Innovation State at Pack Expo 2015 and the co-located Pharma Expo 2015. 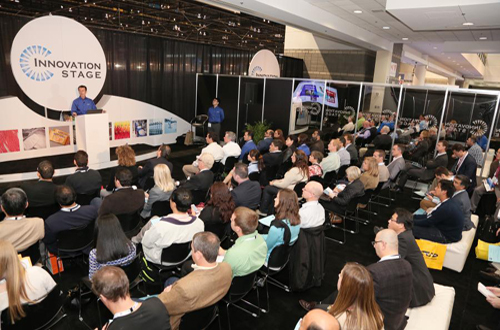 More than 40 education sessions on the show floor will provide free, convenient access to insights into processing and packaging trends as well as challenges in food safety regulatory compliance, workforce development and measuring line efficiency. – The next evolution of metal detection. The OpX Leadership Network will also be among presenters, discussing the latest in one voice solutions for workforce engagement, total cost of ownership and factory acceptance testing. The 30-minute long presentations will run hourly between 10:00am-3:00pm on September 28 and 29; sessions end at noon on September 30. There will be three adjacent locations of the Innovation Stage at the show. Pack Expo 2015 and the co-located Pharma Expo 2015 will be held from September 28-30 in Las Vegas, the US.